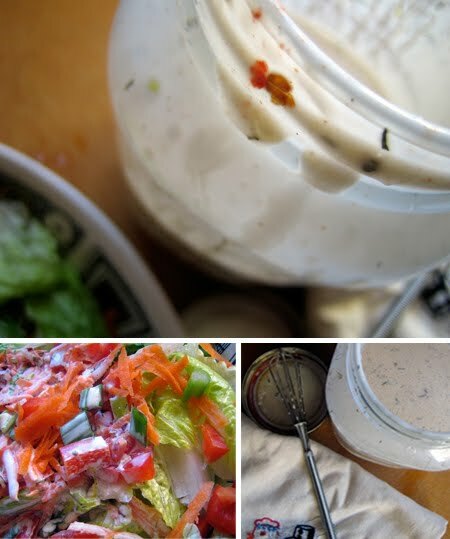 I’ve been busy in the kitchen whipping up a pretty fantastic salad dressing. When I discovered an open can of chipotle peppers in adobo sauce in the fridge, I decided to make a Southwestern style ranch dressing. Spicy and smoky and tangy from the buttermilk, it’s a great way to dress up your greens. You can get the recipe over at Poppytalk! Last week I found myself in possession of the elusive Seville orange (that’s a bitter orange – better known for making marmalade). I wasn’t sure what I’d make with them (remember two years ago I made this quick ice cream), but I put the call out over at ReadyMade for a little assistance. Got any ideas besides marmalade? Gimme a hand in putting a dent in my supply! I bookmarked your smoky chipotle ranch yesterday. It sounds like the perfect dressing for this time of year — where I'm yearning for spring but there is still snow and ice on everything. Hope to make it this weekend! Sorry J, I can't think of any ideas for your huge stash of Seville oranges…I keep thinking sweet desserts and I know you aren't a fan of cloyingly sweet things. As for the dressing, it sounds delish, …I seldom buy buttermilk though, unless I can use it all before it expires. I wonder if I made a huge amount of this dressing how long would it keep in the fridge? I just made this now for a salad. Yum. SO good! I had to cut more bread just to sop up the remainders on my plate! Thank you for yet another great recipe! Hey good idea! I'm not super strict on my low carb regime. I allow myself whole wheat products on occasion, so I could make whole wheat muffins and add some of the remaining buttermilk to the mixture. Thanks for the inspiration! bijoux, use buttermilk for other things like pancakes/waffles and other cakey type things. however, since you're currently on a diet, maybe now isn't the best time to buy a big container of bmilk! monika, so glad you tried it out and loved it! hooray! Bijoux, I hope you end up doing a bit of baking! I just recently made some fantastic whole grain muffins recently. Yum. How about a seville orange meringue pie? I like lemon meringue pies, but they tend to be too sweet. Perhaps the bitterness of seville oranges would be a good counterbalance for the sweetness of the pie. in spanish they are called naranja agria — bitter orange. they are highly coveted for cuban cooking. When I was still a meat-eater we used the juice in a marinade called mojo (pronounced mo-ho).